I'm not a big fan of peanuts. 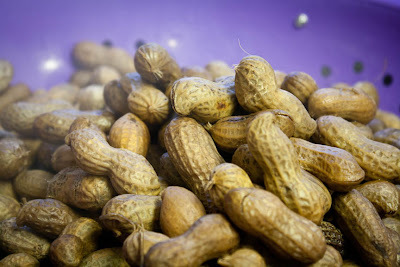 I can do without peanut butter and I'll munch on the roasted kind if it's the only thing available at a bar, but the one type of peanut I really adore is the boiled peanut. The first time I had them was about six years ago in Seward, Alaska. Someone was selling them at a local bar. They are salty and soft -- a little like edamame. Fast forward to present day. I really didn't think pregnancy was affecting me in the cravings department, but when my step sister-in-law posted on Facebook a photo of a Georgian boiled "P-nut" stand, that is the only thing I ever wanted to taste. The reason I've never been able to make them myself is that you need raw peanuts -- ones that haven't been roasted. You just can't get them up here. Thanks to my mother-in-law's thirst for online shopping, she was able to have some shipped up to me via Amazon.com. I didn't know what to expect. I was worried they would be fresh like sprouts where they could go bad very quickly. When I opened the box, I surely thought she had mistakenly sent me roasted peanuts because they were dry and hard. Then I read they were cured and raw so I knew I was good to go! Give yourself an afternoon to make them, because it takes several hours. The longest, easiest snack this side of the Mississippi! Place about a pound of raw peanuts (still in their shells) into a large pot. Fill the pot with water and add 1/2 cup of salt. Put the lid on and bring to a boil. 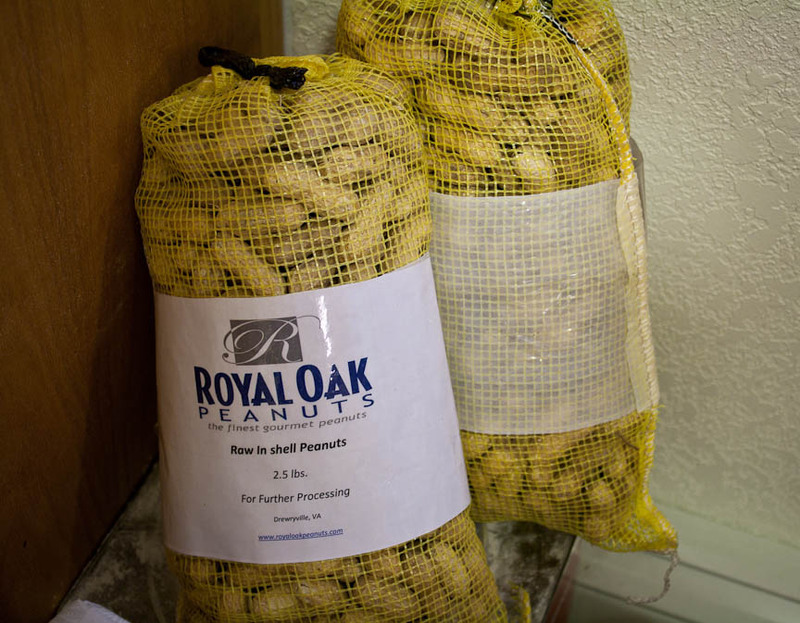 Turn heat down so your peanuts are still simmering and cook for hours until they are soft to your liking. They can be stored for up to 10 days in the fridge and I've read you can freeze them for even longer.